European States Want Their Gold Back from U.S.
Every week, Your News to Know delivers you the latest news about the economy and the gold market. Stories this week include: The West jacks up gold prices by printing more paper money, more and more European nations say they want their gold back from the United States, and India eases gold import restrictions boosting wedding demand for the metal. By printing massive amounts of cash that isn’t backed by gold reserves, Western countries are devaluing their currencies, while the savvy East is expanding its gold reserves anticipating a rise in the precious metal’s prices, said Egon von Greyerz, founder and managing partner of asset management company GoldSwitzerland. “We have seen a lot of the physical gold go from the West to the East and I’m sure that the central banks do not have anywhere near the gold they should have,” said von Greyerz. Western states seem to be ignorant of the importance of gold, but sooner or later gold could prevent them from printing money, he said. The Federal Reserve has confirmed that they had their biggest foreign withdrawal of physical gold in over 10 years recently. Many European states used to store their gold in overseas vaults, mostly in the United States. But recently gold repatriation has become a popular initiative across Europe. Most recently, the Swiss voters have rejected a proposal requiring the Swiss National Bank to repatriate gold held abroad and keep at least 20 percent of its $540 billion balance sheet in gold. The Dutch central bank is shipping 122 tons of gold worth $5 billion from New York. 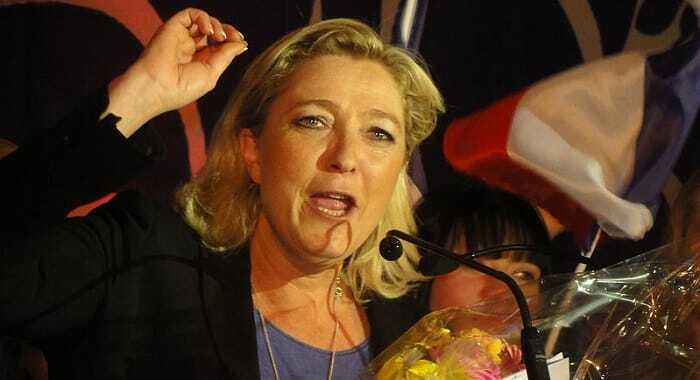 And now even France is jumping on the bandwagon as the current front-runner for the French presidency, Marine Le Pen, has sent a letter to the governor of the French Central Bank, demanding that France join the gold repatriation movement. Germany is still in the process of repatriating some of its gold held by the Federal Reserve. The nation is planning to transfer 300 tons from New York by 2020. “The 2008 financial crisis and its aftermath have revived interest in a monetary policy instrument of a bygone era: gold. This trend is especially pronounced in Europe, where central banks face public pressure to buy more gold or bring back home what they hold in vaults overseas,” reported the Wall Street Journal. On Friday, India removed restrictions on gold imports that were put in place last year in an effort to ease the country’s current-account deficit, reported the Wall Street Journal. The end of the restriction, which required importers to sell 20 percent of their shipments to jewelers for re-export, will reduce smuggling and bring domestic gold demand to normal levels, said Bloomberg. And for Indian gold buyers hunting for bargains ahead of the wedding season, this couldn’t have come at a better time. “I’m very happy that I’m able to get more gold within my budget,” said an Indian housewife whose son is getting married this month. “Prices have fallen and may fall even more,” she said. Follow us on Twitter to stay up to date with the latest news about the gold market. Will the US give the Dutch their gold back?